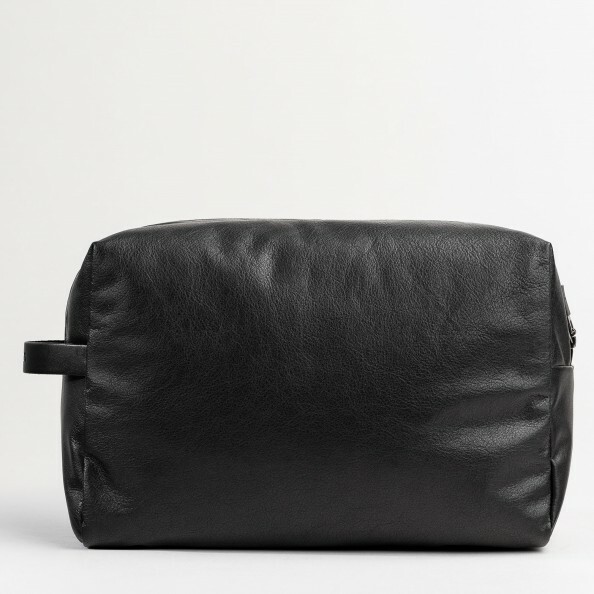 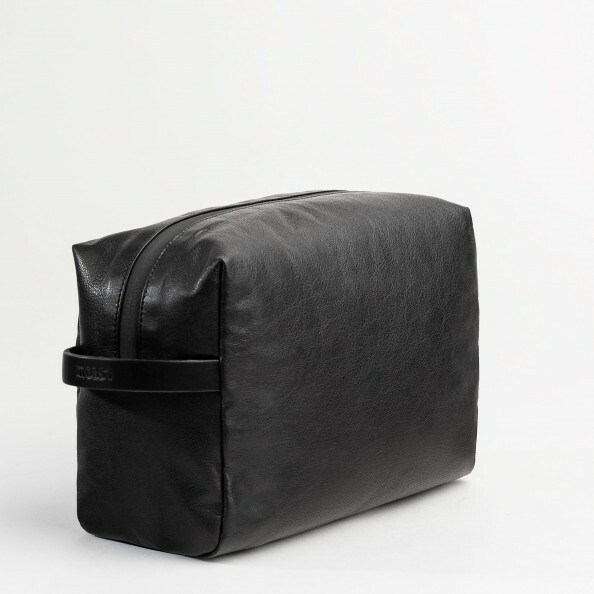 Travel toiletry bag in Waterdanka leather is ideal for carrying all your essentials. Lined with our exclusive Piumi lining, this pouch offers you two inner pockets. 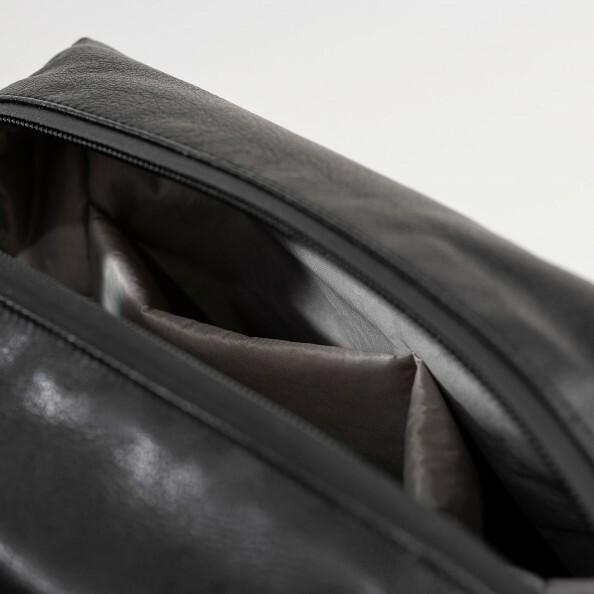 It also features an embossed thick leather handle on the side for easy transportation.